Phew, that was a rough week for the ol’ Emerald City. Below are three lessons we could learn from it — but based on recent history, probably won’t. Thanks, Amazon! For teaching all of us in Seattle a lesson or three this past week. Lesson number one: We are far more emotionally attached to Amazon than Amazon is to us. This may seem counterintuitive, as Seattleites are supposedly filled with angst about the megalith in our midst. 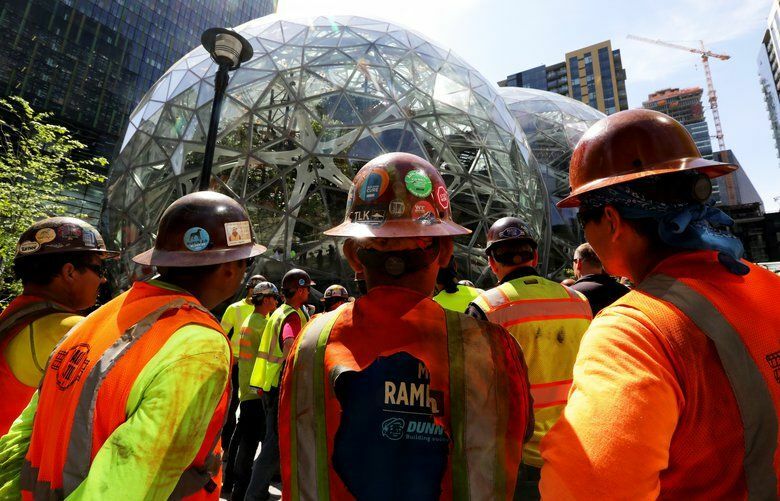 But the company’s dramatic threat to cancel up to 7,000 new jobs if the city passes a big business tax revealed the truth: People like that Amazon is from here. We think it says something special about Seattle, about our creativity and smarts. I first experienced such a civic-corporate romance with Boeing (remember them?). In the 1980s, when I first got here, Seattle was Jet City. Even the beer ads featured “the men who make the planes”: Boeing machinists striding into taverns after another day of shrinking the world. Then it was Boeing itself that was going, jilting us for Chicago. We should have learned then: Corporations are not actually people, no matter what the Supreme Court says. They have no loyalty, no soul. They will up and leave if they get a better offer, or, in Amazon’s case, if they simply see an opportunity for marginally shaving payroll costs. This is not evil, as the tone-deaf City Councilmember Kshama Sawant keeps yelling. Corporations exist to grow and maximize profits, full stop. It’s not personal to them, it’s business. What makes the relationship so unbalanced is that it is personal to us. I love Seattle and so would be open to paying a $500-per-year “head tax” on myself to help with affordable housing. Amazon does not love Seattle (I’m distinguishing here between the corporation and its employees). Amazon the corporation can take us or leave us — as it so explicitly demonstrated this past week. We need to get it through our sappy heads: Our relationship is a cold business calculation for them. Our leaders need to start treating it like one, too, instead of an ideological crusade. Speaking of our leaders: Thank you, Amazon, for highlighting that Seattle doesn’t have any right now. The most revealing part about this story is that City Hall was startled to learn the town’s largest employer doesn’t like a policy proposal that was a year in the works. That’s governing negligence. This City Council is barely a governing body anymore, so much as an activist group. A normal council would have insisted that Amazon be part of the crafting of such a big tax plan, or at least launched an intelligence operation to find out what they thought. But all that’s tough to do when you’re shouting at them through bullhorns. Finally, thank you Amazon, for showing the city why the “head tax” was a bad idea in the first place. The City Council is right that hugely profitable businesses could afford to pay more. 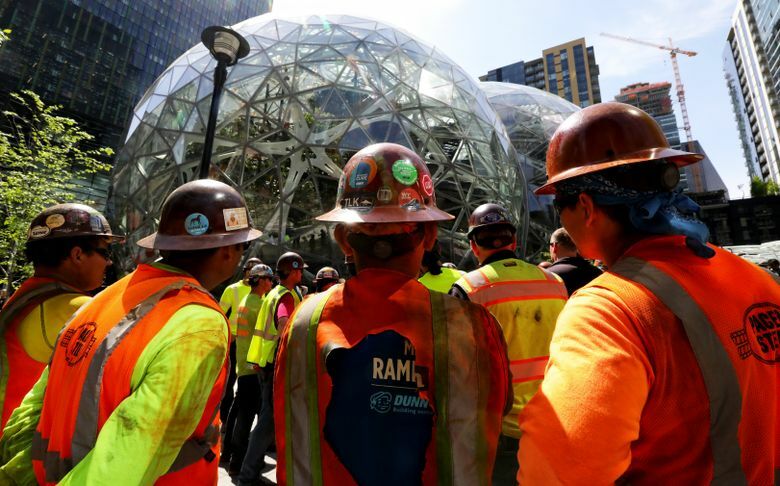 They are also correct to point out that Amazon’s windfall from the reckless Trump federal tax cuts dwarfs whatever Seattle is asking them to pay. But the head tax — a tax on hours worked, about $500 per full-time worker per year — is a blunt hammer of a tax. There’s a reason it’s so seldom used by other cities. As Amazon just demonstrated, it’s easy for decentralized, non-facility-based companies (like high-tech!) to avoid paying it by simply locating their heads elsewhere. I’m not saying the tax would cause companies to move. But some would grow elsewhere instead, as Amazon just threatened. That’s a company already opening a second headquarters in another state, so it’s no surprise they can take their new Seattle jobs and fly away. The other problem is that the companies that can’t do this are mainly the location-based ones with the least margin to pay the tax. Think grocery stores. So the tax would dampen tech employment (by at least Amazon’s 7,000 jobs) while probably raising the price of our food. That’s just not a smart tax. Did any of this penetrate the civic skull? I’m hopeful, because it’s tough to imagine any politician, other than maybe Sawant, voting to outright cancel 7,000 jobs. But this is Seattle. We can be hardheaded like that.